Kathy McArthur, a personal injury attorney in Macon, Georgia, recently secured a legal victory for a woman she says is the victim of discrimination. MACON, GEORGIA, US, November 2, 2018 /EINPresswire.com/ -- Kathy McArthur, a personal injury attorney in Macon, Georgia, recently secured a legal victory for a woman she says is the victim of discrimination. She represented a 33-year-old woman who sought care for back pain, but doctors kept sending her away without performing the proper tests. She argued that doctors violated the standard of care, and as a result of this delayed diagnosis, she now faces incontinence, permanent nerve damage, and other life-long conditions. McArthur said that her lack of insurance and her weight caused the hospitals to discriminate against her. With McArthur’s help, the woman sued the emergency room doctor and the nurse who sent her home without diagnosing her condition. A jury awarded her a $5.2 million verdict, which was later reduced to $3.12 million. She hopes that this verdict will cause Georgia’s medical providers to use less discriminatory practices. Medical malpractice has been named the third leading cause of death in the United States. Every year, up to 225,000 people die due to medical errors, according to the American Medical Association. 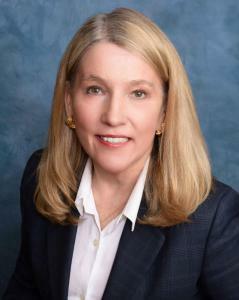 Kathy McArthur was recently recognized by Best Lawyers as Lawyer of the Year 2019 in the area of medical malpractice in Macon, Georgia. McArthur Law Firm handles medical malpractice and wrongful death cases throughout Georgia and the nation. To contact Kathy McArthur directly, call 888-511-3130.